Clear up the skin on your face, hands, and neck by coming in for our chemical peels in Sun City West, AZ. These are quick, effective treatments that help with skin tone, melasma, skin discoloration, age spots, and more. They also work to minimize scaring, lines, and pigmentation easily. You should see results in one to three sessions, and you'll be astounded at the benefits these facial peels can have. They can even remove skin growths that are precancerous or keep your acne under control. Chemical Peels are non-surgical cosmetic facial procedures used to improve the apperance of the skin and is typically performed on the face, neck, or hands. How does it work? 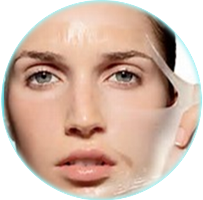 We apply a chemical solution to your skin that makes it exfoliate and then peel off. Each solution we use is customized the client's goals, needs, and skin type. Once it begins to peel off, the skin underneath is newer, smoother, and not as wrinkled. The new skin is also temporarily sensitive to the sun. Our highly knowledgeable staff then provides you any with any necessary aftercare instructions and makes follow-up appointments if needed. We offer the 4 Layer Signature Peel, Lactic Lightening Peel, Glycolic Wrinkle Lift, Salicylic Beta Life Peel and Jessner Perfect Lift. Our facial peels offer fast results you can feel. After you've had your treatment, you'll notice an incredible difference in the texture of your skin. Although they're usually intended for the face, chemical peels can also be used on stretch marks and skin rejuvenation on other parts of the body. They can be light, medium, or deep, and the skincare staff members at Alycan Design Medispa can help you decide which is right for you. Our peels can treat hyperpigmentation, aging skin, melasma, sensitive skin roscae, keratosis pilaris, freckles, sun spots, acne, fine lines and wrinkles. Please keep in mind that it is best not to smoke for several weeks before and after the procedure. This can lead to extremely undesirable side effects, such as scarring and infection. We're positive that when you leave our spa, you'll feel not only relaxed, but much more confident in the clearness of your skin. 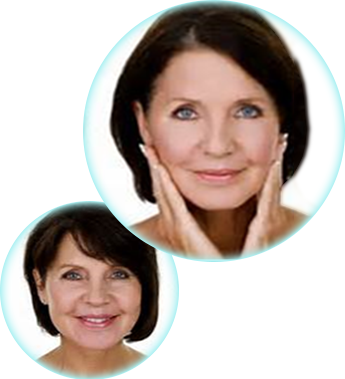 Our treatments work to make you feel as young and beautiful on the outside as you are on the inside. This can open up a world of doors in your professional and personal life, and help you de-stress and sleep better too. We offer VI Peel®, which is an anti-aging, rejuvenating and restorative product. VI Peel starts at $300 and ranges to $500. It contains a synergistic blend of powerful ingredients suitable for a variety of skin types. The VI Peel ® rejuvenates and softens fine lines and wrinkles, restores a more even skin tone, smooths away rough skin texture and prevents further damage to your skin. It combines the strongest and most effective acids suitable for all skin types. It can make a difference in as little as 7 days and is the first ever painless checmical peel! We carry I PEEL by Image Skincare®, which lightens, tighens and brightens your skin in one application. 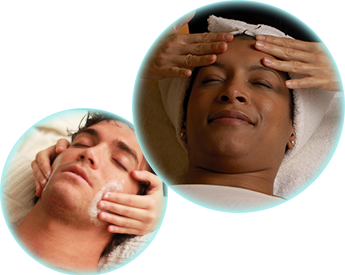 Image treatment starts at $100 and ranges to $135 depending on your specific treatment plan. We offer a broad range of peels from TCA to organics, which are customizable. Image Skincare® I PEEL has a unique gel based technology for anti-aging, balancing and hydrating to rejunivate your skin. Some of the I PEEL products we have include the lightening, perfection and wrinkle life forte peels. Checmical peeling can be combined with laser resurfacing, microderm abrasion or microcurrent to achieve cost-effective skin rejuvenation customized to your needs. Contact us to peel off your imperfections. We do facial masks and peels for clients in Sun City West, Peoria, Surprise, Sun City, and Glendale, Arizona, and neighboring areas.